The Gunners returned to winning ways last weekend after a comfortable derby triumph over Chelsea but they can expect a tricky test against the Red Devils, who have been the in-form side over the past month. Petr Cech has generally been tasked with the Cup and European duties this term and he should reclaim his position between the sticks for the United game. In the defence, Sokratis and Laurent Koscielny should retain their central defensive positions after their strong display against the Blues but there will be a change in the full-back spots. Hector Bellerin has been ruled out for the season with a serious knee problem and his absence should witness Ainsley Maitland-Niles feature at right-back with Nacho Monreal on the opposite end. In the midfield, Emery may not tinker with the combination from the Blues triumph and this should witness the trio of Granit Xhaka, Lucas Torreira and Mateo Guendouzi feature from the off. 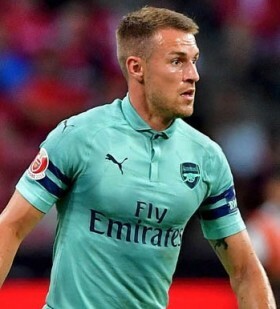 The same may be the case in the attack front with Aaron Ramsey, who masterminded the task of man-marking Jorginho, starting in the number 10 role with Alexandre Lacazette and Pierre-Emerick Aubameyang featuring upfront.